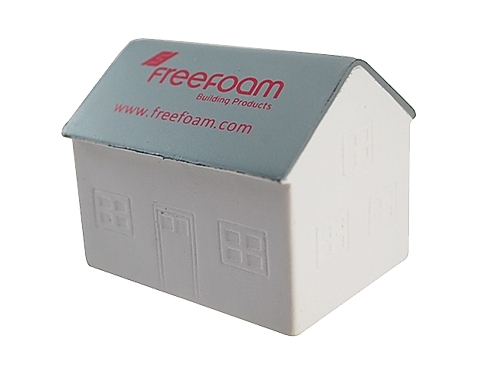 Break it down and bring the house down with these house stress toys which represent an excellent investment for the housing industry. Sellers and buyers alike will find stress free advertising in these awesome little abodes. Whether you tear down, build up, repair, paint, sell, or buy houses, these house stress relievers will leave your clients with all your contact information and a great way to de-stress. Waiting to see if your offer was enough to acquire your dream house? Don't panic, these stress relievers will get those real estate frustrations out of your fingertips and into soft foam.